In the first quarter of 2018, the Goodman Institute took the lead in defending the tax reform bill against its critics. Throughout 2017 there was a steady drum beat of attack from writers and even many economists who were critical of the reform effort. We expect that to continue. If there is a significant electoral swing in the next two elections and if tax reform is a cause of it, the reform will be in serious jeopardy. 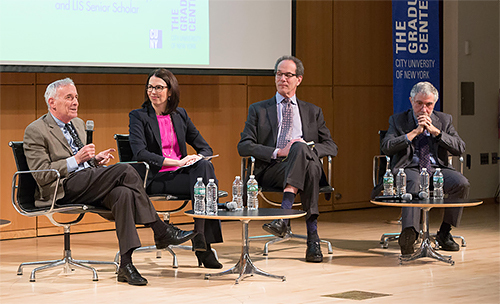 Goodman Institute Chairman Leigh Curry and President John Goodman had front row seats at City University of New York in February. Senior Fellow Larry Kotlikoff took on ultraliberal New York Times columnist Paul Krugman on the subject of inequality and the new tax reform bill. Krugman was joined by two other economists who quoted liberally from the Brookings Institution’s Tax Policy Center and the congressional Joint Committee on Taxation. Three against one? Yes. And Kotlikoff only got one fourth of the time to speak. Yet he patiently and rationally explained that the tax reform bill was good for workers, was not a giveaway to the rich and would not increase the debt relative to national income. He easily won the debate. Supporters of tax reform spent millions of dollars trying to sell the tax bill the way P & G sells soap. It didn’t work. Now we need to communicate with people who write economic and financial columns for the national news media and discuss these topics on TV talk shows. We also need to reach out to the academic world in general. In other words, we need the think tanks to do what think tanks were created to do. Three against one: Laurence Kotlikoff debates inequality and the new tax law with Lily Batchelder (former advisor to President Obama), Leonard Burman (co-founder of the Urban-Brookings Tax Policy Center) and Paul Krugman (New York Times) at the City University of New York. For middle class households in their 20s, the lifetime benefits of tax reform average $68,952 in present value. For the average middle class 30-year-old household, tax reform is worth $75,233. For the average middle class 40-year-old household, the reform is worth $67,932. Laurence Kotlikoff at the CUNY debate. Roughly 30 percent of these gains are from lower taxes. The remainder is the result of higher wages and a larger economy, as estimated by Kotlikoff’s state-of-the-art model of international capital flows. That model predicts a roughly 5.5% increase in U.S. average wages (about $4,000 per household per year) because of a large inflow of capital from abroad, which will occur over time. Kotlikoff says there is virtually no change in the progressivity of the tax system, either from the tax cuts directly or from the effects of a larger economy paying higher wages. Why Do Economists Disagree about Tax Reform? The Tax Cut and Jobs Act of 2017 represents the most significant change in U.S. taxation since 1986. The bill’s fairness has been studied and debated, with some studies suggesting the reform is regressive. An example is the Tax Policy Center, which reports that “higher income households receive larger average tax cuts as a percentage of after-tax income, with the largest cuts as a share of income going to taxpayers in the 95th to 99th percentiles of the income distribution.” The Congressional Budget Office and the Joint Committee on Taxation reach similar conclusions. But these studies suffer from four major shortcomings. First, they focus on current instead of remaining lifetime taxes. Second, they ignore the interaction of tax changes and entitlement programs. Third, they lump together the young and the old, mixing households in very different positions relative to their lifetime incomes. Fourth, they ignore the reform’s impact on capital and wages. A new study by Alan J. Auerbach (University of California, Berkeley), Laurence J. Kotlikoff (Boston University) and Darryl Koehler (The Fiscal Analysis Center) rectifies these problems, using the most sophisticated modeling available to economists. Unlike other analyses, the study considers the lifetime effects of the new tax law, including its interaction with state and local taxes, Social Security and Medicare and more than 30 entitlement programs. It reflects an average 5.5 percent increase in real wages – based on simulations of international capital flows. People with incomes below $10,000 can expect to receive about twice the tax relief as what is predicted using the JCT method. Those earning $10,000 to $20,000 can expect about 50 percent more tax relief. For those in the $20,000 to $30,000 range, the tax reduction is, again, about twice what the JCT method predicts. The JCT method overstates tax relief for millionaires by about half again and there is a similar over-estimate for those in the $500,000 to $1 million range. For those who earn $200,000 to $500,000, the JCT method overestimates tax relief by about one third. 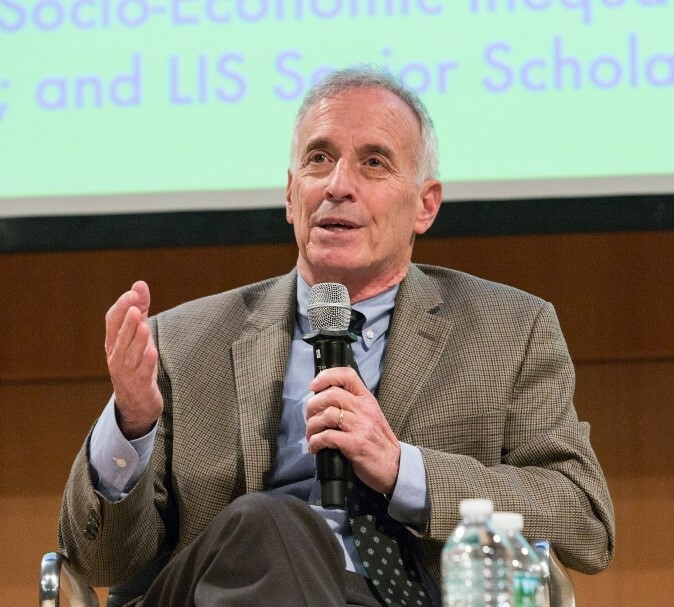 Kotlikoff and Auerbach are sometimes called the “deans of dynamic forecasting” because of their pioneering work in the field. For example, the Auerbach-Kotlikoff life-cycle model is used by the Congressional Budget Office, the Joint Committee on Taxation and other economists around the world. Their measurement of progressivity uses sophisticated tools that are not replicated by any other model. The most significant federal entitlement reform in our lifetime was the elimination of a little noticed provision that Democrats included in the Affordable Care Act (Obamacare). The provision was a cap on Medicare spending, similar to the cap Republicans proposed for Medicaid last summer. Writing in Forbes, former Medicare Trustee Thomas Saving and John Goodman explain that the provision garnered almost no attention from the mainstream media or even from most conservative commentators. Yet according to the Medicare Trustees report that followed, it eliminated $52 trillion of unfunded federal government liability – an amount more than three times the size of the U.S. economy. Thanks to Republicans in Congress, that debt is now back on the books. 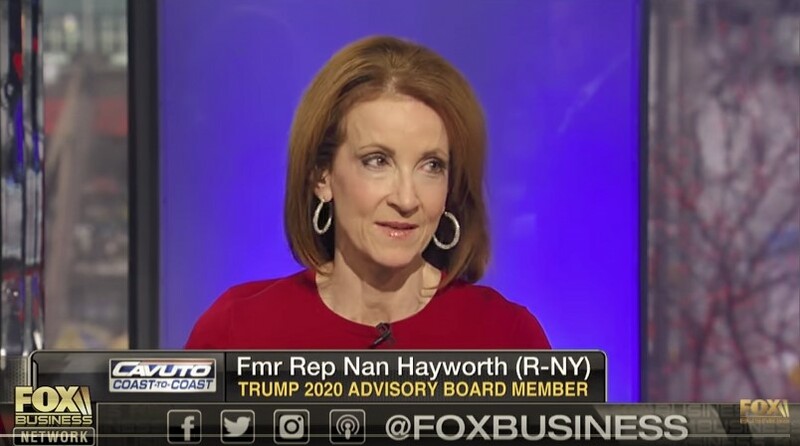 Nan Hayworth hit the air waves to talk about Obamacare, taxes and growth and much more. Former congresswoman and Goodman Institute board member Nan Hayworth was on TV frequently this quarter. 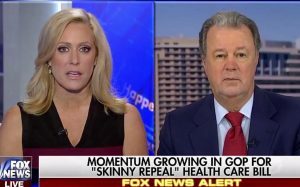 Nan is the only female physician to have served in Congress, and she had a lot to say about Obamacare and the need to replace it on Fox News, CNN, MSNBC’s Hardball and elsewhere. A Vision. 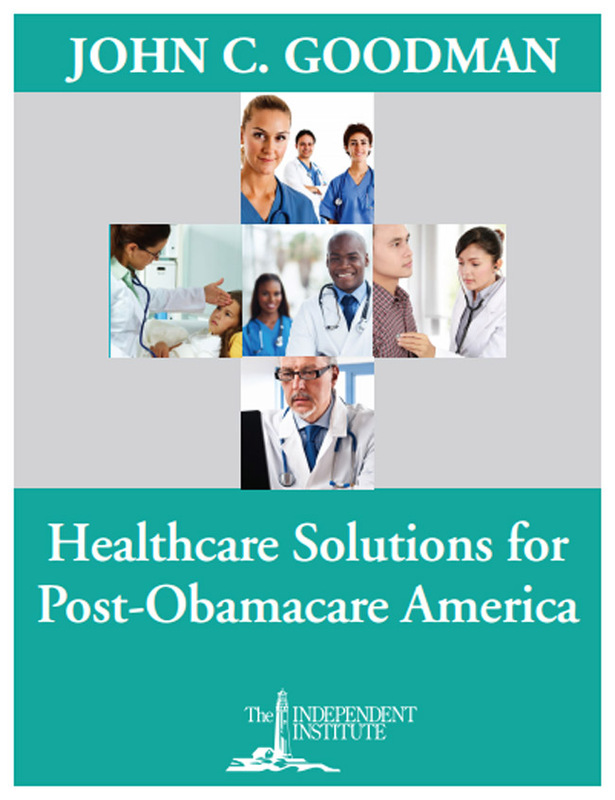 Republicans and Democrats alike haven’t solidified a clear vision for health care. Even if it’s not achieved, voters need to know where you want to go. 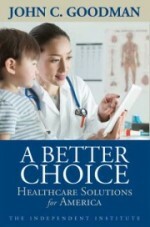 Pete Sessions, Bill Cassidy and John Goodman outlined a plan in Health Affairs to reach universal coverage using money already in the system and to free doctors and patients to solve many of their own problems without suffocating bureaucracy. This vision was incorporated into bipartisan legislation. An Agenda for Seniors. Medicare needs to be brought into the 21st century. Instead of trips to the doctor’s office, why can’t seniors get consultations by phone or email or teleconference – the way some non-seniors do? Instead of trips to the emergency room at nights and on weekends, why can’t they have access to Uber-type house calls – the way non-seniors do on the east and west coasts? These are only a few of the changes suggested by John Goodman and former Medicare Trustee Thomas Saving in Health Affairs. They could save money and improve access to care. 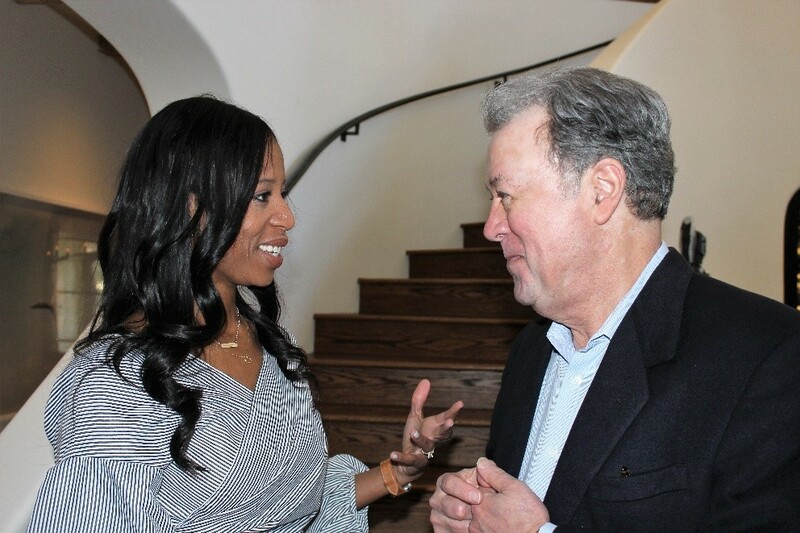 Rep. Mia Love (R-UT) talks with John Goodman about the Goodman Institute’s Agenda for Women. An Agenda for Women. Why must a housewife who takes a minimum wage job be in her husband’s tax bracket? If a woman has health insurance through her husband’s employer, why can’t she trade health insurance for higher pay or other benefits? Why can’t husbands and wives share their Social Security contributions, the same way they share contributions to other savings plans? These are just a few of the questions asked by John Goodman and Wall Street Journal columnist Kimberly Strassel in the book Leaving Women Behind. 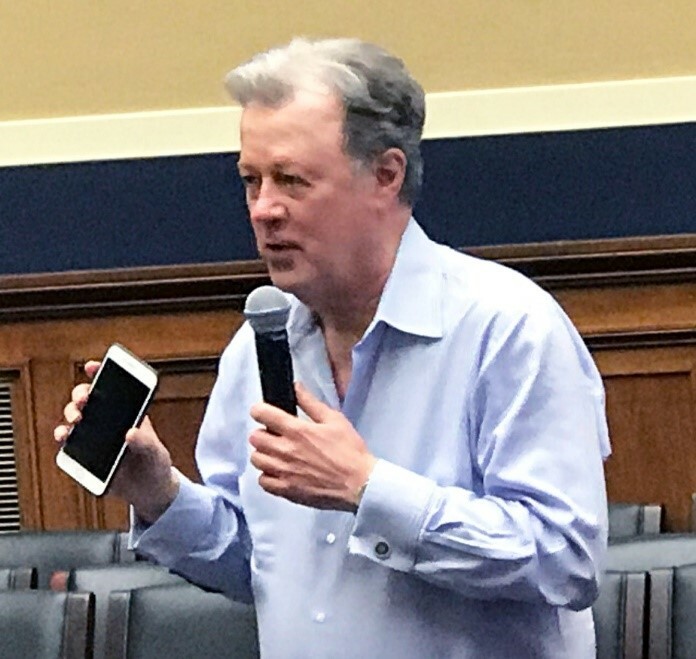 John Goodman briefs doctors at a Capitol Hill meeting. Senior Fellow Charles Sauer has written a new book, Profit Motive: What Drives the Things We Do. Sauer says that identifying your own “profit motive” as well as that of others is the foundation for running a successful business, being an effective leader and getting what you want out of life.